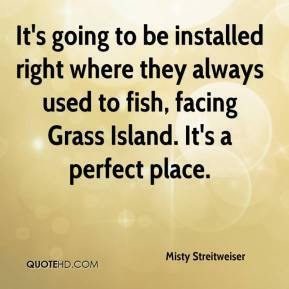 It's going to be installed right where they always used to fish, facing Grass Island. It's a perfect place. 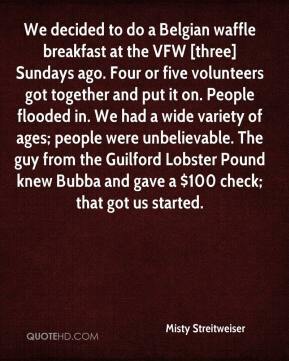 We decided to do a Belgian waffle breakfast at the VFW [three] Sundays ago. Four or five volunteers got together and put it on. People flooded in. We had a wide variety of ages; people were unbelievable. 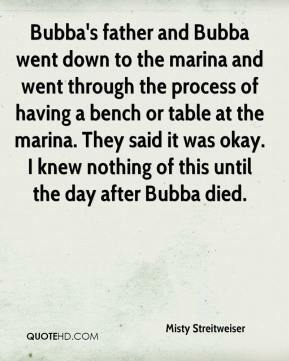 The guy from the Guilford Lobster Pound knew Bubba and gave a $100 check; that got us started.